The Audi Q3 invoice price and the true dealer cost are not the same. Note: The Audi Q3 pricing report below does not include rebates or incentives. 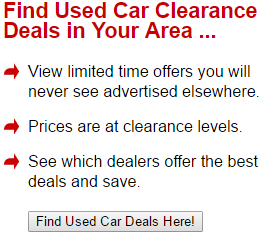 View Audi Rebates and Incentives. Subcompact SUVs are quickly growing in popularity for their fusion of utility with innovative features. You can also add luxury to the list with the 2018 Audi Q3, a subcompact that gets rave reviews for its stylish, high-end cabin and sleek, comfortable ride. The Q3 recently received a Women's Choice Award at the Los Angeles Auto Show, and it's been named one of the 10 best luxury cars under $35,000 by Kelley Blue Book. What's New for the 2018 Audi Q3? Standard heated seats are now included in the Audi Q3. The Premium trim has a new Convenience options package. In addition, the Prestige trim is no longer available for 2018. The 2018 Audi Q3 comes in two trims, Premium and Premium Plus, which can be augmented with optional features and packages. Up to five passengers can enjoy the comfortable, supportive seats, with plenty of room even for adults in the second row. Two LATCH connectors accommodate child safety seats. Cargo space is above average for the class, featuring 16.7 cubic feet behind the rear seats and more than 48 cubic feet with the second row folded flat. The Premium trim features a lavish interior with leather upholstery, along with an elegant design and high-quality materials throughout. The hushed cabin boasts expansive visibility. You'll enjoy power-adjustable front seats, dual-zone automatic climate control, heated side mirrors, and a panoramic sunroof. Tech features include satellite radio, Bluetooth and USB connectivity, and a 10-speaker sound system. Three options packages are available for the Premium trim. The Convenience package includes a power liftgate, an auto-dimming rearview mirror, and proximity key entry. The MMI Navigation Plus bundle adds Audi's infotainment system along with navigation. The Sport package provides a more engaging experience behind the wheel with a selectable driving mode controlled by paddle shifters. Front sport seats are also included. If you opt for the Premium Plus trim, you'll enjoy heated front seats, blind spot monitoring, and a power liftgate. This trim also comes with LED headlights and taillights and can be updated with either the Sport or Navigation Plus package. An exclusive package for this trim, Sport Plus, gives the exterior aggressive style updates. The 2018 Audi Q3 is equipped with a four-cylinder engine that provides 200 horsepower. It comes with six-speed automatic transmission and standard front-wheel drive. Reviewers praise its smooth, comfortable ride, precise steering, and confident handling. All-wheel drive can be added to either Q3 trim. Kelley Blue Book notes that the Q3 offers the premium driving experience with an emphasis on comfort that you would expect from the Audi brand. Every Audi Q3 comes with a standard rearview camera and both front and rear parking sensors. You can also opt to add a blind spot monitoring system called Audi Side Assist. 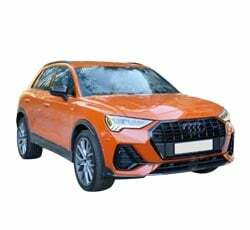 While the 2018 Audi Q3 hasn't yet been crash tested, it's expected to meet or exceed the stellar performance of the model, a Top Safety Pick of the Insurance Institute for Highway Safety. 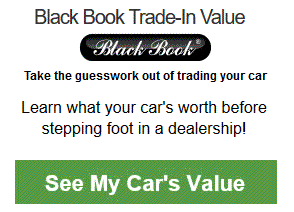 Example: Base Audi Q3 invoice price + the dealer Invoice price of options + destination - Holdback = Total Dealer Cost. Note: All Audi Q3 MSRP, invoice and dealer cost dollar figures above are approximate amounts. Prices are subject to change without notice.